She’s been around for a very long time but has just recently emerged as the new warrior- queen of anti-aging: pomegranate oil. Our Radiance formulation includes pomegranate combined with jojoba and a skin-rejuvenating fusion of essential oils to enhance the skin-enriching properties of baobab oil. Together they create a rich, luxurious oil blend that gives your skin a satiny finish and naturally radiant glow. Why does our skin need collagen? Collagen is the most abundant protein in our bodies and helps to promote elasticity as well as glowing vibrant skin. While our bodies do produce collagen on a regular basis, production slows down with aging so your skin welcomes every bit of help making more collagen available. 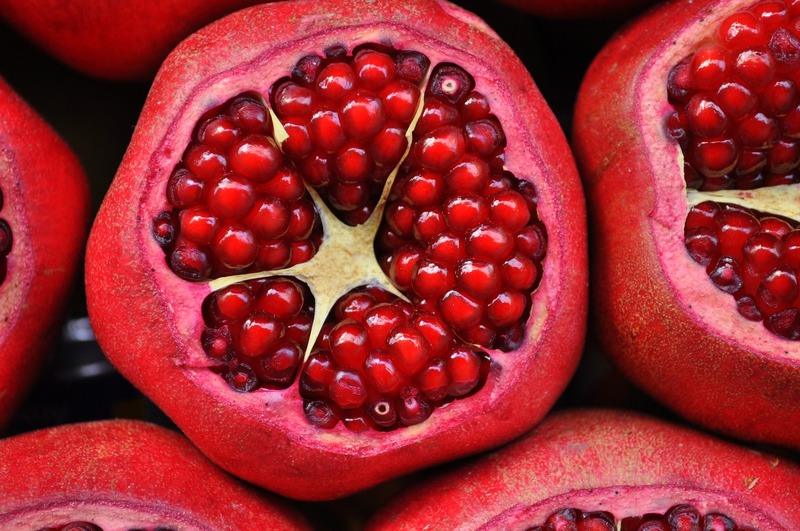 That’s exactly what the punicic acid (an omega 5 fatty acid) in pomegranate oil does: increases collagen production and reduces its breakdown, thus helping to reverse the visible signs of aging skin. The polyphenols – antioxidants – in pomegranate oil are also known to protect against and repair UV damage, as well as promote the growth of new, firmer skin so helping to produce a more youthful looking skin.